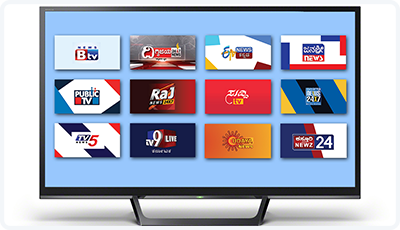 Mplan Media is one of the Innovative Tv advertising agencies in Bangalore offering more than 1000+ channels to choose from. We help brands build ROI effective television plans according to their requirement. Mplan offers varied ways of advertising options such as video ad, L band, aston band and slideshow advertisement. Click here to get an understanding of how Television advertising works: Television Advertising Or call us at 9916897609 to get free consultation for your brand.